This page covers Spanish wine information, from the different types of wine produced in Spain, wine regions, the various Spanish grape varieties and more. Keep reading this Spanish wine guide to increase your enjoyment of wines from Spain. Spain has a long history of producing wine, yet wines from Spain tend to be less well known internationally than French and Italian wines. As a result, Spanish wine can be very reasonably priced and is well worth learning more about. You may be surprised that Spain has the most land dedicated to growing vines than any other country! 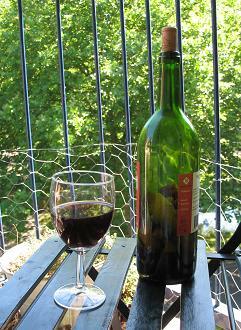 Below are some of the most popular types of wine produced in Spain. For more information about wines from other regions around the world, take a look at this article on types of wine, and this one on wine basics. Rioja – this is Spain’s most famous red wine, made in the La Rioja region in the northeast part of the country, only about 200 mile south of France’s famous Bordeaux vineyards. Rioja wine is made from a blend of grape varieties, and they can also be white or rosé depending on how the wine is produced. Grapes used in Rioja wine include Tempranillo, Garnacha (Grenache), Tinta and Mazuelo. Sherry – Spain produces some of the best sherries in the world. Sherry is a fortified wine, made by adding brandy to the wine toward the end or after fermentation. 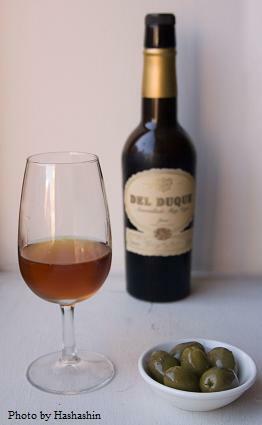 Sherry can be anywhere from very dry to quite sweet, and are usually served lightly chilled as either an aperitif or after-dinner drink. Amontillado – a popular dry to medium-dry sherry. An excellent way to serve Amontillado is as an aperitif before the meal, together with appetizers such as cheese or olives, or even a light soup. Oloroso – another dry to medium-dry sherry, somewhat darker than Amontillado sherry. Cream – cream sherry is sweet, and usually drunk as a dessert wine after a meal. Madeira – a sweet fortified wine which was very popular among the early American colonists. Muscatel – this is a sweet fortified wine made in several of the Spanish wine-making regions. It is made from the Muscat grape, which is also often used to make sherry in Spain. Cava – a Spanish sparkling wine. It can be very reasonably priced compared to champagne or Californian sparkling wines. Sangria is not a type of wine, but a wine-based drink that is popular in Spain, especially during the hot summer months. Sangria is usually made from a Rioja red wine, with added fruit (especially citrus fruits), sweetener (like sugar, honey or simple syrup) and brandy or other spirit. La Rioja – in northern Spain, close to the border with France. This is where the Spanish Rioja wines are produced. There is a long history of growing wine in this region, and sharing of vineyard expertise and influence with Bordeaux just 200 miles to the north in France. Penedés region in Cataluna – this is where the Spanish sparkling wine called “cava” is produced. 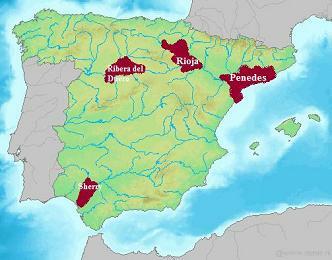 Ribera del Duero – a newer wine growing area of Spain, primarily growing the Tinto Fino grape. Try Vega Sicilia (actually one of Spain's most expensive wines), Viña Mayor, or Pesquera. If you are interested in learning more Spanish wine information, the best way is to start sampling and tasting a variety of wines from Spain to develop your own personal preferences in Spanish wine. You can also learn more about other types of wine here.